While dyslexic children mostly possess average to above average intelligence, difficulty in acquiring reading skills holds them back in school. So how do you address this issue? You read aloud regularly to your toddler, bought all the age appropriate books and your child seemed to love them. But when other kids in her class began to read independently, she seemed reluctant and would insist that you read to her. And then you discovered that she had difficulties in reading her textbooks in school, in learning her spellings and completing her written work. What was the problem? Dyslexia is the most common learning disability and though awareness is growing, it is still not well understood. Statistics show that 10 per cent to 15 per cent children in India suffer from this neurological disorder in different degrees. While dyslexic children mostly possess average to above average intelligence, difficulty in acquiring reading skills holds them back in school. So how do you address this issue? 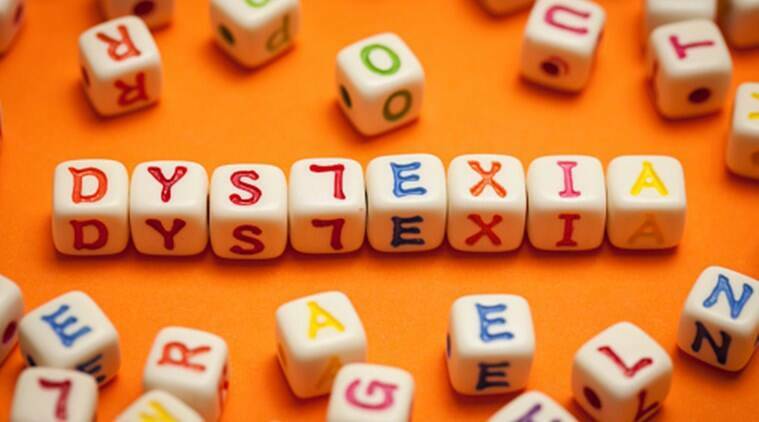 A parent shares her personal journey in coping with dyslexia. I guess it is different for every child. For us, the writing problem was more apparent than the reading one. My daughter would write mirror images of certain alphabets in English and Hindi from the time she started learning to write in kindergarten. I discussed it with the class teacher who said it was quite common but usually settled by the time children reached Class One or Two. Mirror images also posed a problem while reading. She would often confuse the letters ‘b’ and ‘d’. Being our first child, we were not sure at what age she should start reading or writing fluently. Her teachers in KG and Class One did highlight the fact that her written work was below class level, even though she participated actively in classroom discussions and asked very relevant questions. There were other signs. For example, she couldn’t write the full English alphabet by the end of class one, though she had memorised it through rhymes. Mirror imaging occurred in Maths, too, and she found it hard to memorise tables by rote. The letter reversals didn’t stop by the end of Class Two, and I was still reading out almost everything that she needed to study and whatever else she wanted to read. I was getting seriously worried now, and wondering whom to discuss it with, when her class teacher suggested that we get her assessed by the special educators in school. In Class Three, the in-class special educator began to help her. Finally, the school asked us to get her formally assessed by a child psychologist. She was diagnosed with specific learning disorder and dysgraphia and we enrolled her in the Special Education Needs (SEN) programme in Class Four. Having observed obvious and persistent signs right from the beginning, it was clear to me that something was different and needed to be addressed, so acceptance wasn’t hard. And being a problem solver by nature, I was keen to get her the right help and support. There are so many resources available these days that understanding the problem isn’t hard. I researched a lot on the Internet, from identifying dyslexia, to why it occurs, to different methods of dealing with it, to famous dyslexics. I also read a number of books on dyslexia. We were also lucky to be in a school where the support system is in place right from Nursery if a child needs it. The fact that their mainstream teachers are trained to identify potential learning problems in children is indeed praiseworthy. The SEN department of the school supported and guided us very well and continues to do so. The hard part was making her understand and accept it as she grew older and realised she was different from her friends. My daughter loved stories right from the beginning, often expecting me to create one from a set of characters she chose. Losing that cherished connection was not an option. I spent a lot of time reading aloud to her and to my son, who is younger, and still do. It is great way of bonding with your children. We would laugh together at funny situations, feel scared together and I would often be told, “Mom I hope you’re not going to start crying!” I got to enjoy some of the books I had loved growing up, again, and read them from a different perspective. I also discovered new books and new favourite authors. She connects deeply with pictures and art so we often purchase highly illustrated versions of books for her. She will often ask me stop reading to let her examine the pictures closely. We also learnt about dyslexia friendly books brought out by a British publisher named Barrington Stoke, thanks to my sister who lives abroad. These are printed on yellowish paper instead of white, using a special font, which makes it easier for dyslexic children to decipher alphabets. These books were very empowering as my daughter could take them to school and read them during the DEAR (Drop Everything And Read) time. We have suggested to the school that they acquire some for the library so that other children can read them too. As she grew older, she started listening to audio books. We have subscribed to Audible which has some very well-produced titles, although they are a little expensive. I also record chapters and lessons from her textbooks so she can listen to them instead of struggling with reading while revising. This has helped her to become more independent. 3. Remaining part of the peer group by reading the same books as her friends. 4. Sometimes being ahead of the peer group. 5. Most importantly, enjoying good literature and being able to appreciate it. 1. If your child cannot read fluently, it doesn’t mean she/he cannot or should not remain connected to books. 2. Read a lot to your kids. 3. There are many solutions available, especially using technology. 4. A number of famous people in various fields are dyslexic. Find out and keep a running list in your head to motivate your child. 5. Every child has a gift. Play to her/his strengths. 6. Remind them everyday of their gifts. So, if your child has a reading disability, it does not mean that they cannot enjoy good literature. Just stay motivated!